In today’s competitive business environment, young workers must successfully market themselves to stand out from the pack, and many say personal branding is critical to that goal. Personal branding has become a major industry, with books, websites, and consultants competing to cash in on the phenomenon. But what is personal branding? In marketing, a brand is a name, term, design, or symbol that identifies a company’s goods or services and separates them from those generated by another company. 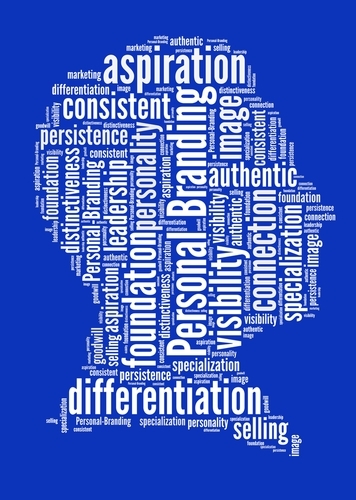 Personal branding applies that definition to an individual. Personal brand is a combination of an individual’s identity and image. Identity is comprised of skills, actions, values, and beliefs. Image is how others interpret those characteristics. Reputation—and a personal brand—is built when many people consistently view a person in the same way. Experts offer these tips as ways to build a personal brand. Weave your story. Answer questions such as “Who am I?” “How do others see me?” “What am I known for?” “What do I stand for?” Be able to clearly explain the image you want others to identify in you. Then create a personal narrative. If you have multiple aspects of your life, think how you can weave them together to create a cohesive theme. Audit your online presence. Google yourself to see what is being said about you. If you have a common name, think about adding a middle initial to separate yourself from the herd. Create a personal website. A personal website is a great way to boost your online presence. Even a few pages that just include a résumé, a brief bio, and links to social media platforms are a great way to begin. You can always add more items as events occur. Build associations with established brands. Connect with names others will recognize, such as a prestigious school, mentor, or organization. Start making these connections by tapping into your three C’s: colleagues, college, and company. A personal brand is especially important to develop when you need to stand out within an organization, but why would developing a personal brand before you begin looking for work be important? What are some ways you can develop an impressive online presence while you are still in college? What is the difference between a personal narrative and a résumé? Did you discuss personal branding with your students? Join the conversation and tell us about it! Hyder, S. (2014, August 18). 7 things you can do to build an awesome personal brand. Retrieved from http://www.forbes.com. Williams, B. (2014, December 14). Make it personal. Retrieved from http://www.talentmgt.com. This entry was posted in 3. News You Can Use and tagged image, persona brand on March 10, 2015 by bizcombuzz.